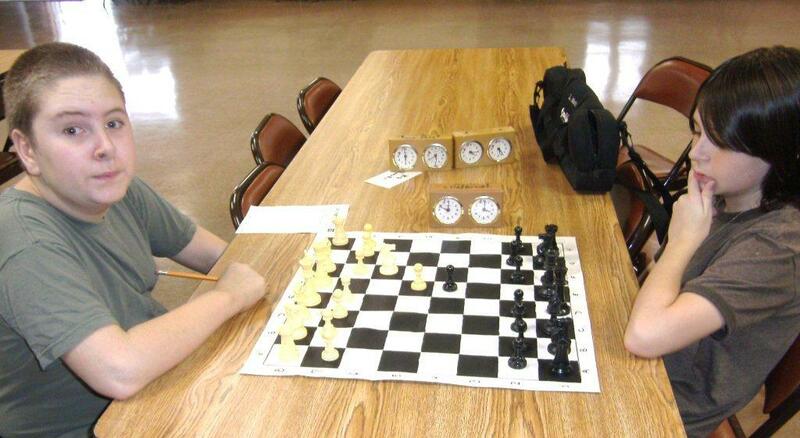 10.06.12 Roger Morin, Lance Beloungie and Rob Shore each scored 3.0 points in four rounds to tie for first place at the Brewer Chess Tourney played on August 11, 2012 at the St. Mary's Parish School in Brewer. Steven Wong and Brian Hurst scored 1.0 point to tie for fourth. One of the tournament winners, Roger Morin (left), plays Collin Calhoun in round one. Thanks to Roger Morin and Steve Wong for contributing to this report. 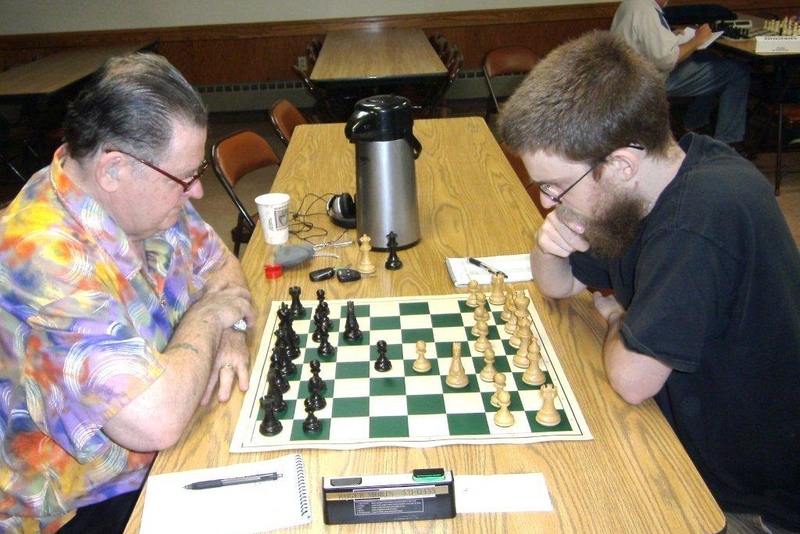 Co-Champion Lance Beloungie (right) and Brian Hurst enter into a Queen's Gambit Declined Slav. For Co-Champion Rob Shore (left) and Steven Wong it's a Four Knights . 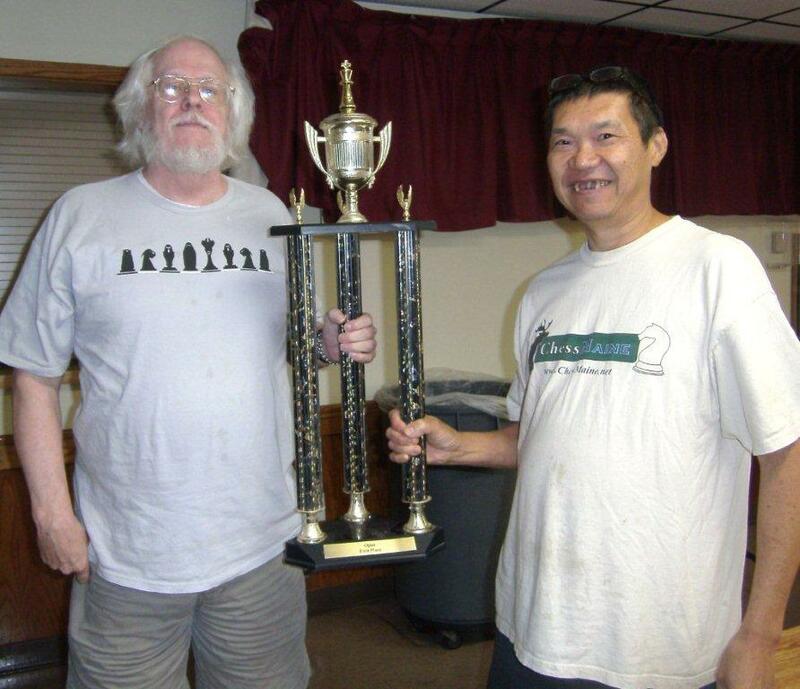 Lance Beloungie and Tournament Director Steve Wong with the impressive first place trophy. Lois Morin (right) contemplates her first move in a skittles game during the tournament. 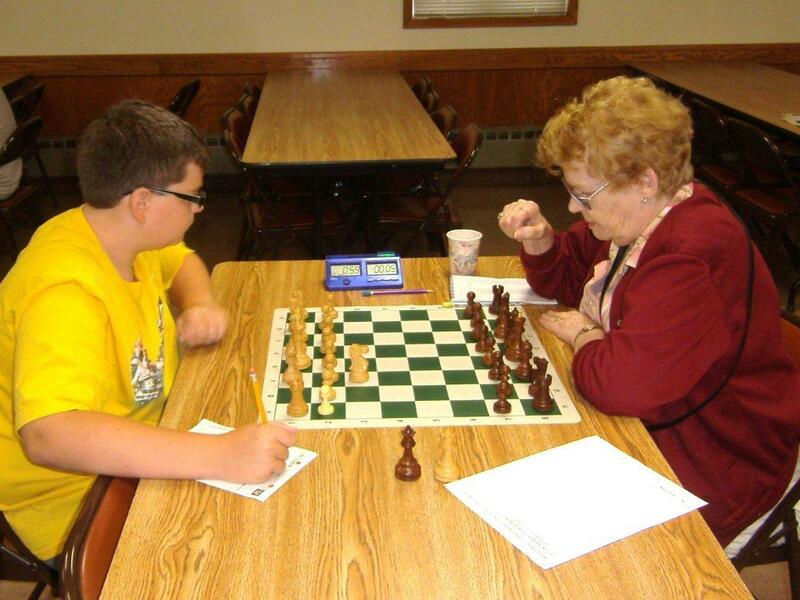 Two scholastic players engage in an off-hand game. Thanks to players and organizers for making this event a success!